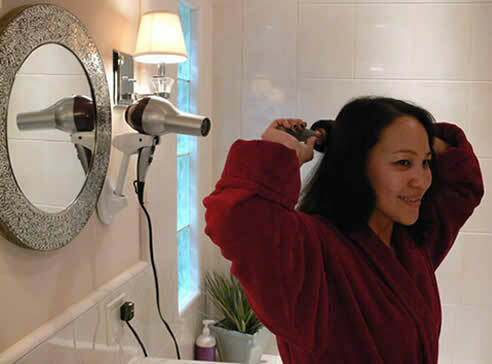 Our goal is to help you get the hair you really want by making blow drying easy, fast and fun with way better results using the Bestie blow dryer holder. 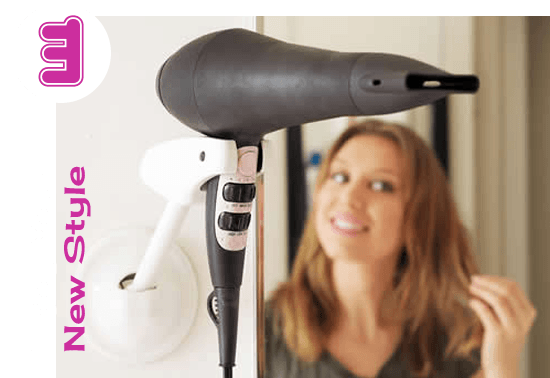 It’s gonna hold your blow dryer for you while you are drying your hair! Position as needed – pick up your brush and go for it! Bestie fits all standard sized hair dryers. For bigger handles, pop out the black gaskets in the holder to allow more space! You can round brush for smoothness or curls – or flat brush to straighten or speed dry. 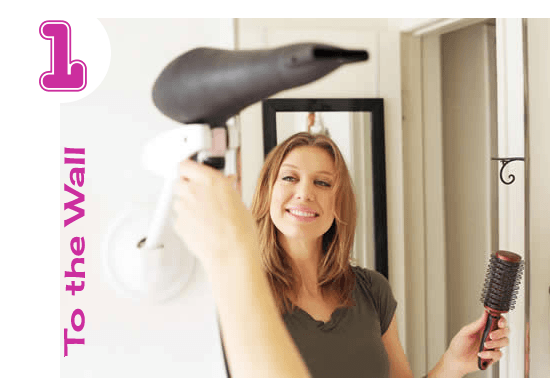 You can even air dry while brushing your teeth or applying makeup to help save time! Got questions? Just call or shoot us an email! Our goal is to revolutionize how women get ready and make EVERY day a GREAT HAIR DAY! I was not sure what to expect with this Bestie Brands Hands Free Hair Dryer as I’ve never seen such a thing. It sounded like the perfect tool for our house full of girls. The holder arrived and we had to play with it right away. The base is a good size and it even comes with the hardware to mount it to the wall. I was able to get it installed quickly and easily. I love my Bestie! I can fully blow out my long hair in 5-7 minutes straight and smooth! I love that I can maneuver it in different angles. It’s incredibly easy to use. Professional results at home. Worth every penny. Blowing out my own hair has always been a struggle. 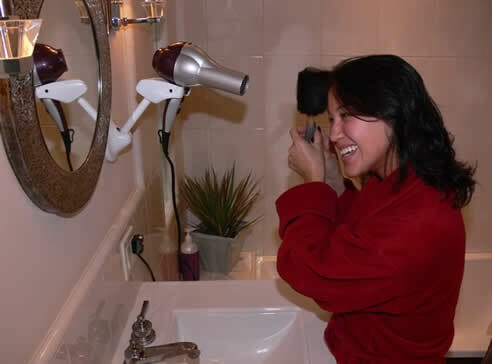 It would always take forever to round brush my own hair; using one hand and struggling to hold the blow dryer. Eventually I gave up on all hopes of successfully blow drying my hair my self until I received my bestie blow dry holder. I AM ABSOLUTELY OBSESSED with my blow dry holder. Not only can I successfully round brush my hair myself but the time it takes to blow dry my hair is so much faster! My mornings and hair has been changed 🙂 I definitely am telling all my friends about this amazing blow dry holder!